Photographer, writer, software engineer, educator, and maker of fine images. Cinema 4D R20 from MAXON is one of the most impressive motion graphics software releases in recent years. Adobe Elements 2019 is the latest Elements product bundle. 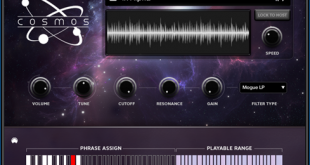 The newest music software from Impact Soundworks offers a wide range of unearthly sounds from the cosmos for film, TV, game production, sound design, or your own musical compositions. Have you heard about cinemagraphs? They are the things that look like photos – until they begin to move. The Adobe Fund for Design program will provides up to $10 million in grants and investments to build a network of development for Creative Cloud, starting with Adobe XD. CINEMA 4D R19 is the latest release of the high-end 3D motion graphics, visual effects, painting, and rendering software application from Maxon. New features in Adobe's consumer-aimed products, Photoshop Elements and Premiere Elements, make this bundle a very appealing choice. One of the big items announced at this year's Adobe Max is the new Lightroom CC photography service, effectively a new face on Lightroom. Many other products feature significant upgrades. Adobe has been busy working with everything from software to scanning and as always it seems there is something for everyone. What really works for me about Adobe Spark – finally out of beta – is that it makes it easy for non-web professionals to independently create promotional pages or presentations.